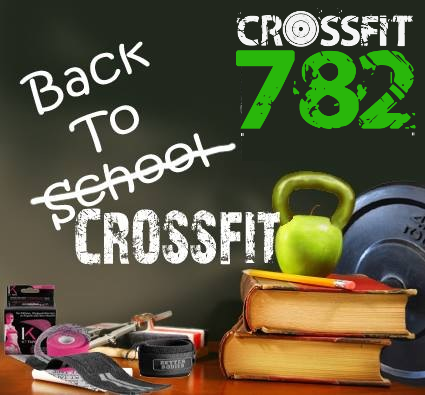 CrossFit 782 is pleased to announce that we are adding a full time “Teens and Teams” program to our schedule. Starting September 8th, we will be expanding our existing Teens program to 6 days a week with classes running from 3:30 to 4:30 every weekday and Saturdays at 9:00. With declining phys ed time available for students, we are excited to offer an environment for students between the ages of 12 and 18 to move better, train harder, and have fun. Our certified coaches will provide an instructor-led environment with programming that will focus on helping students learn skills transferable to sport in a safe, functional, and healthy manner. The cost is $60/month for two classes per week or $85/month for unlimited classes. A Family discount is also available. Teams pricing is $50/month per member. You can begin anytime - contact us today about getting started.